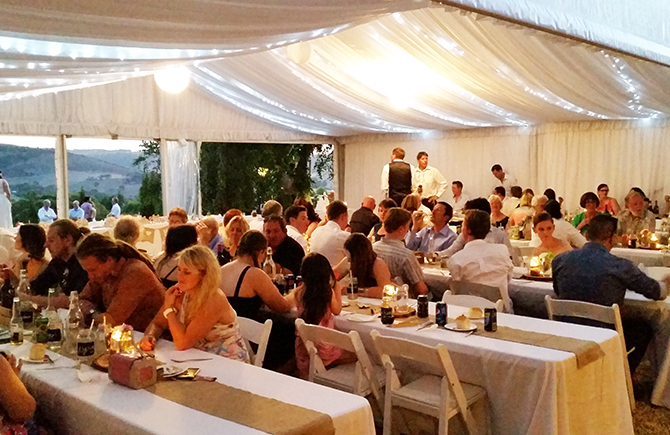 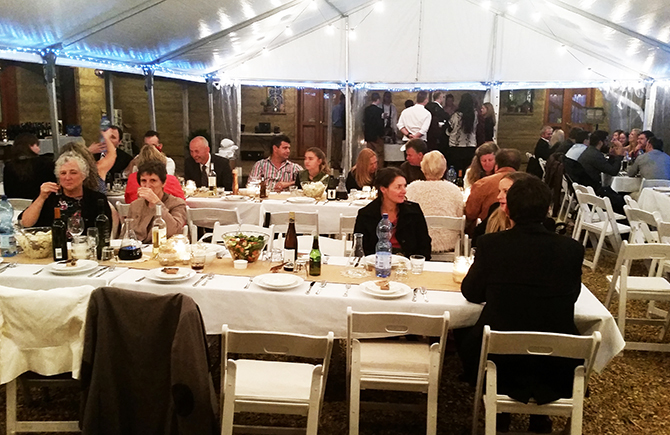 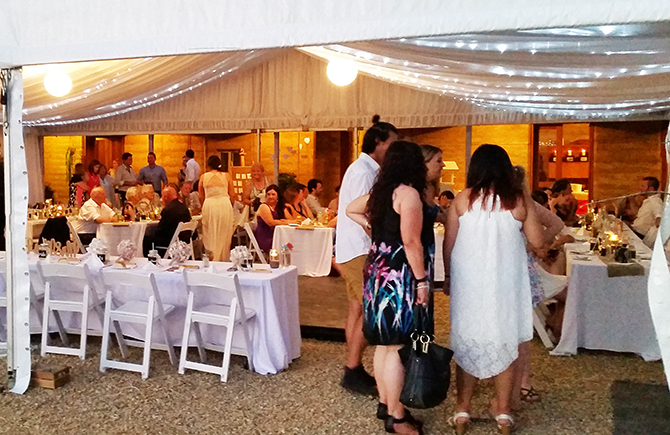 Our central courtyard with its beautiful views is ideal for a dining marquee of any size to suit your number of guest. 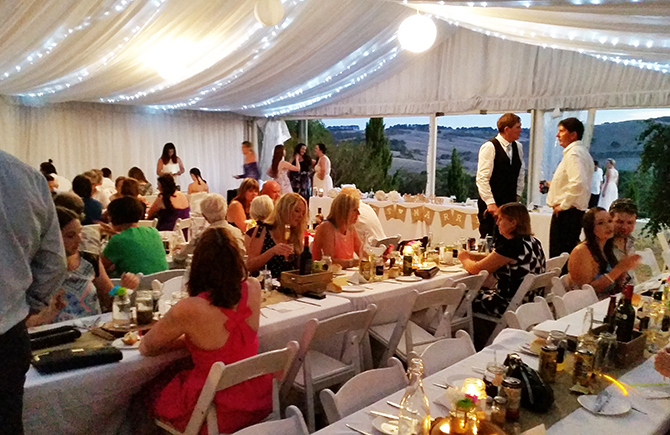 This can be hired along with tables, chairs, crockery etc. 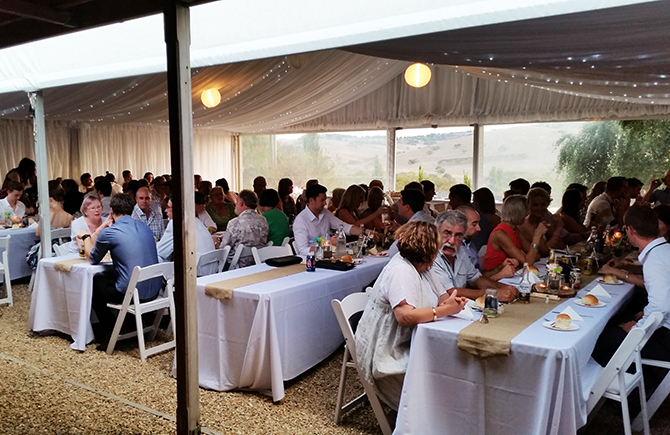 from A1 Hire , Victor Harbor. 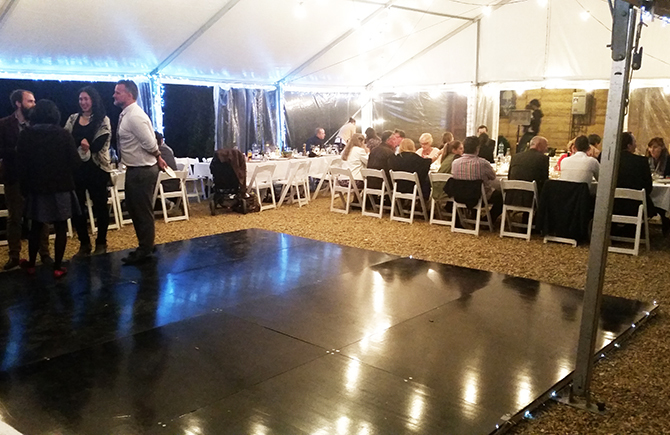 About 120 guests can easily be seated as well as incorporating a small dance floor.